Next generation of banquet chairs offer a powder coated steel frame available in a range of colors. Choose from our standard range of fabrics or specify your own. Handhold optional. 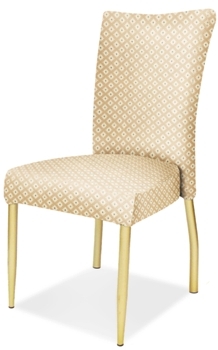 Contact us today to see how we can enhance your function center with our stylish steel banquet chairs.